Send Photo of Rae Allen Echols, Jr.
Rae Allen Echols, Jr. passed away peacefully, surrounded by family and friends, on January 18, 2016. Rae was born March 30, 1941 in Phoenix, AZ. He is survived by his wife of 42 years, Jeanne; his children, Ken Echols, Mindy (Jeremy) Cull, and Brian (Kari) Echols; his 3 grandchildren, McKenzie, James and Brody; his sisters Diane (Jack) King and Sally (John) Werner; 2 nieces and 3 nephews. He was preceded in death by his mother and father and 1 sister. 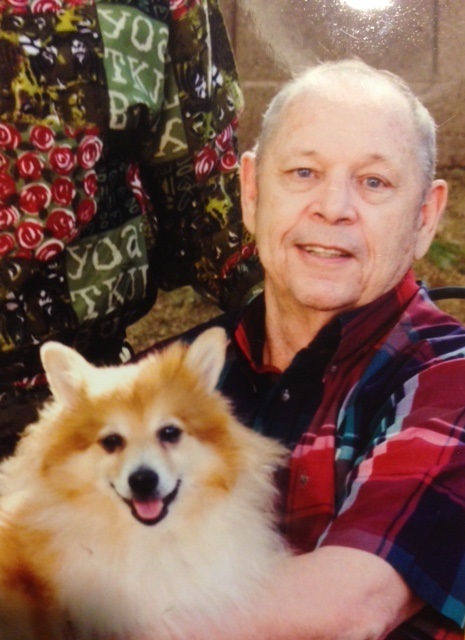 Rae enjoyed ham radio, pets and served in the Merchant Marines. In lieu of flowers, contributions can be made to Home Fur Good, 10220 N. 32nd St., Phoenix, AZ 85028; (602) 971-1334; www.homefurgood.org. Services will be Saturday, January 23, 2016 at 10 AM, with visitation at 9 AM, at the LDS Chapel, 3010 E. Thunderbird Rd., Phoenix, AZ 85032. Arrangements by Bunker’s Garden Chapel, Mesa, Arizona. God bless your family during this sad time give you comfort. May his memory live on forever in your hearts.